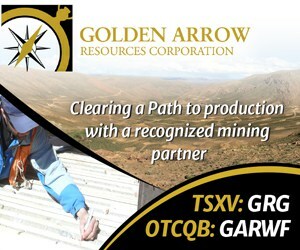 April 14, 2014 (Source: Marketwired) — Pele Mountain Resources Inc. (TSX VENTURE:GEM) (OTCQX:GOLDF) (“Pele” or the “Company“) announced that it has granted 250,000 incentive stock options to one individual director. The options are exercisable at $0.10 per share and expire on December 31, 2018. The exercise price of the options granted is above the closing price of Pele’s common shares on the TSX Venture Exchange on the date immediately preceding the date of grant. All options granted and any common shares issued upon their due exercise will be subject to a statutory four-month hold. The granting of these options are subject to regulatory acceptance of applicable filings. Pele is focused on the sustainable development of its 100-percent owned Eco Ridge Mine project, located in Elliot Lake, Ontario, the only Canadian mining camp to ever achieve commercial rare earth production. With well-understood geology and mineralogy, excellent regional infrastructure, and strong local support, Eco Ridge is an ideal location for the development of a safe, secure, and reliable supply of critical rare earths and uranium. Pele also owns strategic mining claims containing high grade rare earth mineralization at Mountain Pass, California, just 1800 metres from Molycorp’s open pit mine. Pele’s shares are listed on the TSX Venture Exchange under the symbol “GEM” and on the OTCQX under the symbol “GOLDF”.